Valentine's Day is almost a week today and it's about time for my Annual Valentine's Freak Out. "Oh, it's February! I'm going to wear lots of pink this month!" "Lol, I've been single my whole life, what would I even want a boyfriend for? I hate sharing the covers and I can buy my own candy..."
"Ohh, are those the Hershey kisses "hugs"?? Those are the best! Better pick up some conversation hearts, too, because I can only have them once a year." "I'm just going to watch cheesy romantic comedies because they make my heart happy and this is a holiday about happy hearts, right? Why don't we watch You've Got Mail (my favorite! ), The Notebook (classic! ), Breakfast at Tiffany's (my other favorite!)? "Staying determined not to become depressed." "Okay, maybe it would be a little fun to have someone to go to coffee with or to maybe get dinner or something." Matches with a ton of cute guys, and then somehow has four different ones "unmatch" me after short conversation. "I hate cats and dogs smell, I can't stay single forever. Everyone else is going to be getting married soon and I won't even have a date to bring to the weddings." 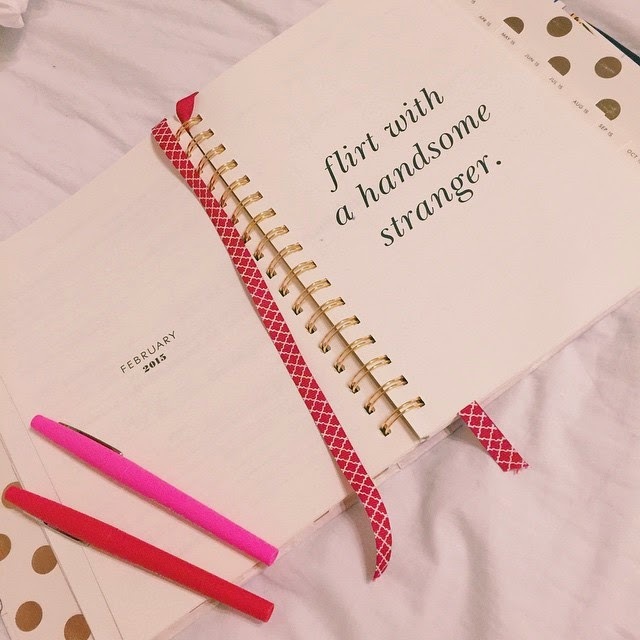 So now as I sit here babysitting a painful distance away from my journal while waiting for Tinder notifications, I'm just blogging away my troubles (or at least trying to). I've decided to buy myself flowers (and possibly sushi), and then I'll probably hang out with some sorority sisters (and stay off Tinder until this holiday blows over). Here's to hoping you aren't having a Valentine's Freak Out, too.